Sheldrick Wildlife Trust: Daphne Sheldrick. 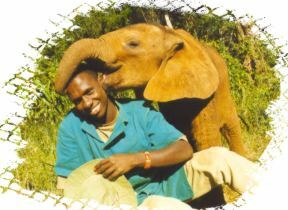 Poaching is increasing in Kenya and has caused a huge number of orphans to arrive at the Trust. Please consider helping. Daphne Sheldrick, best known for her rhino and elephant orphanage has worked her whole life helping the cause of elephants around the world and has provided us with a wealth of knowledge on elephants. She is a person who offers her heart, compassion and life to help orphaned animals. Along with this, Daphne and the Trust have been instrumental in spreading awareness and supporting conservation programs. She is truly one of a kind and I encourage anyone who loves elephants to support her life work. Since its inception in 1977 the Trust has played an extremely significant and important role in Kenya´s conservation effort. Six Trustees assisted by an Advisory Committee of practical Naturalists with a lifetime experience of African conditions oversee and direct the operations of the Trust. The orphan elephants and rhinos are just some of the many wildlife commitments we are involved in. The Trust does not solicit funds and relies entirely on donations from our caring and compassionate friends. This web site contains valuable information concerning Elephant & Rhino Conservation, elephant emotion, the orphans who have been raised by us, and much more. Please visit it and consider supporting it. We have been actively involved in supporting them through our Amazon Book Sales.